Ready for today’s decor horoscope? We’re having a little fun and flipping to the back of the newspaper for some Zodiac inspired decor. If you need to connect with a professional, put down the newspaper and connect with one on homify today. Take a look though the rooms inspired by the Zodiac and see if your personal style aligns with the stars. Aries-inspired decor is bold and adventurous. Expect a few broken style rules in the pursuit of a fresh style for Aries. 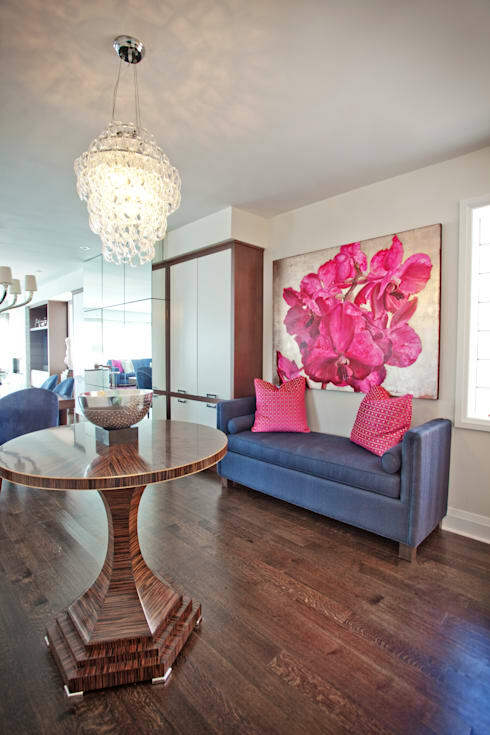 Punchy colours and a statement light fixture above show off the Aries impulse to be ambitious. 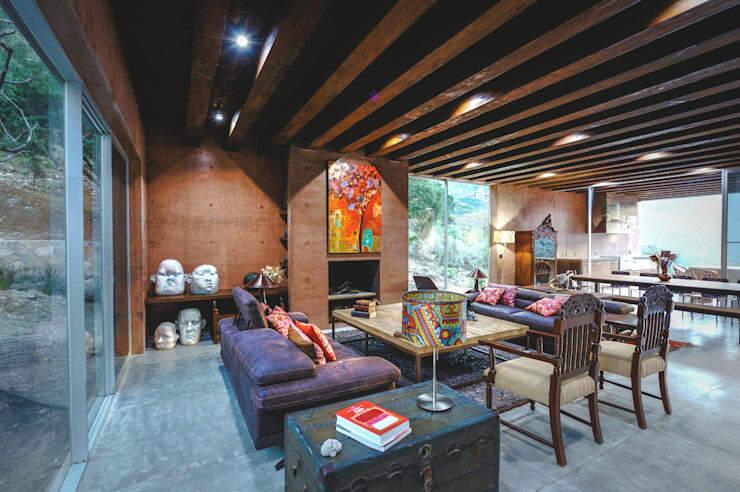 A cozy home full of luscious texture and rich colour appeals to the sensual nature of Taurus. 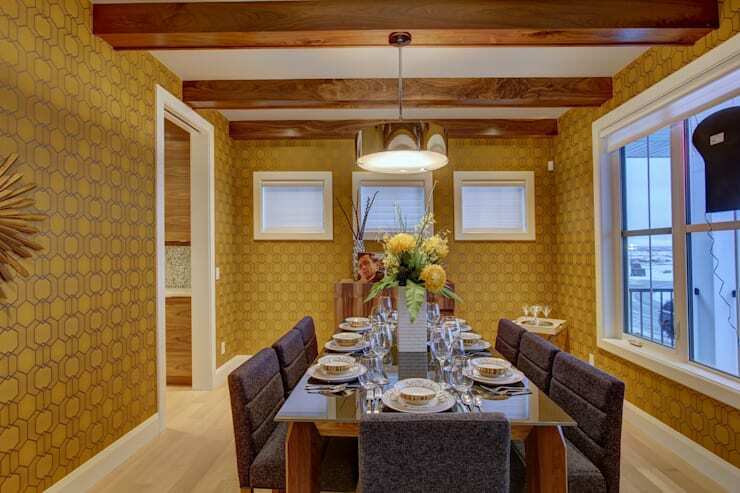 This elegant and warm dining room gives Taurus the opportunity to indulge with friends! Gemini will crave balance, symmetry, and order in their home. 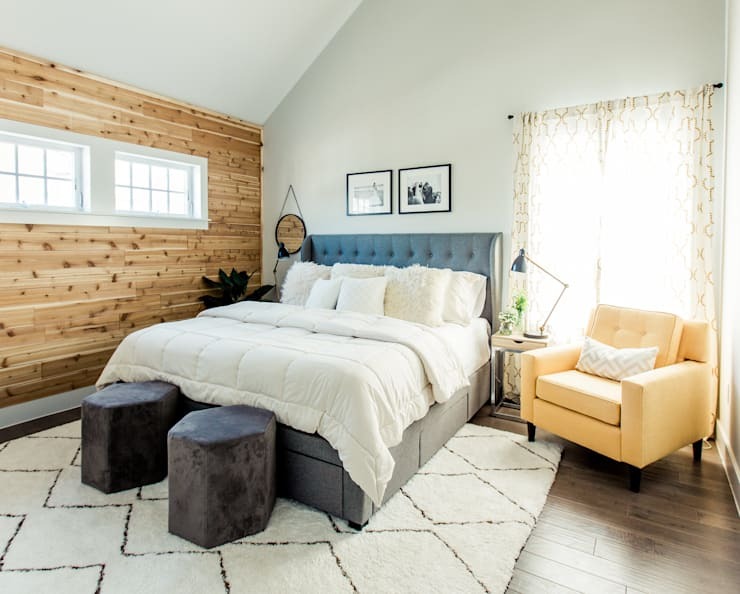 A room that mixes two styles into one cohesive whole is perfect for their changeable nature! 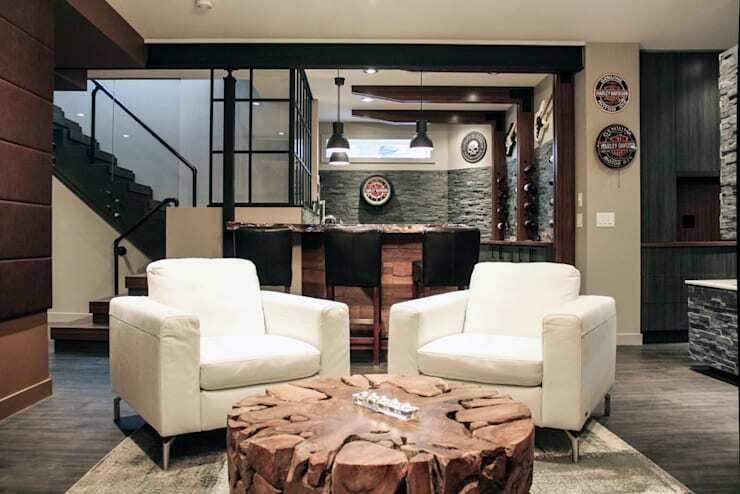 This room mixes rustic and industrial style that will capture a Gemini’s attention. A focus on the kitchen is perfect for sensitive and family-centric Cancer. They surrounding themselves with friends and family, nurturing them with a home-cooked meal. 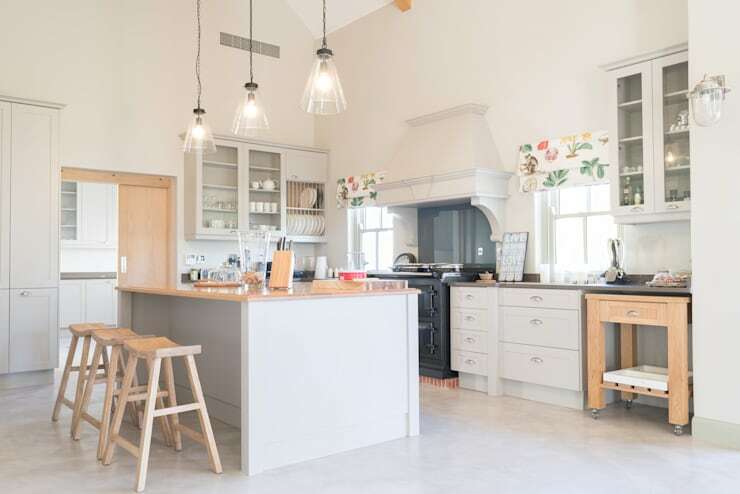 A rustic and fuss free kitchen is ideal for their harmonious family life. A twist of exotic luxury is a siren call for Leo. 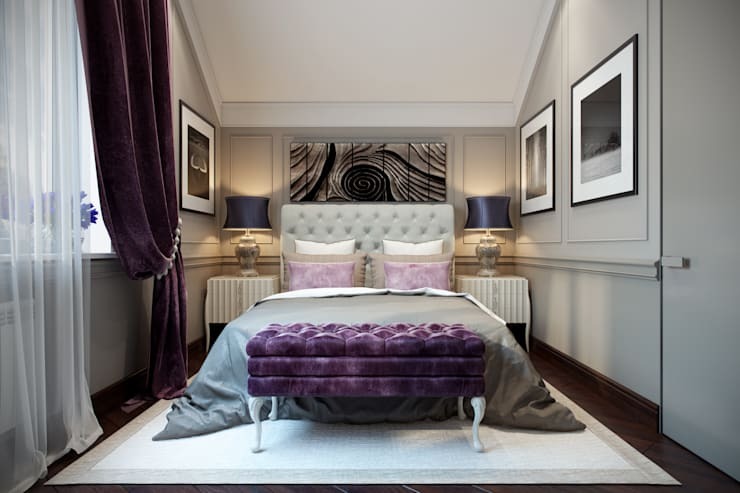 This luscious bedroom with purple velvet accents will suit Leo’s tastes for bold colours and patterns. Well organized and clutter-free spaces are a must for Leo who is no doubt a devoted Mari-Kon fan. Regarded for their intellect, a Virgo inspired room is definitely a minimalist affair. Since they are practical and care about quality, the crispness and simplicity of minimalism will appeal to them. 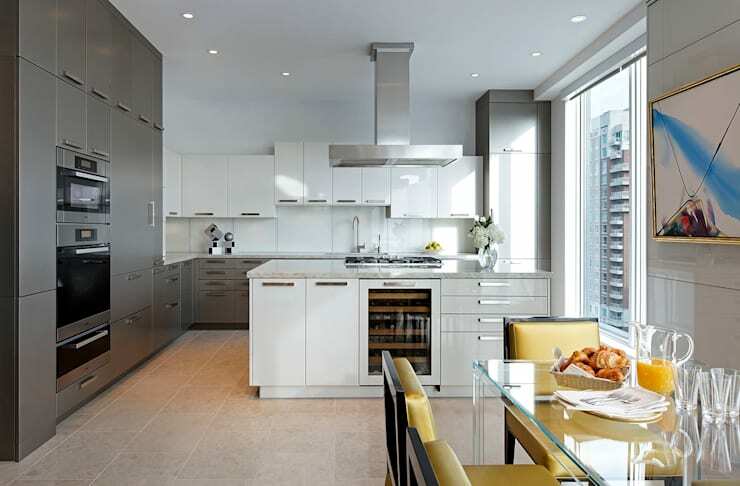 This minimalist kitchen is sleek enough to calm a Virgo’s racing mind. For Libra, this crisp and classic Scandinavian look is a sublime starting point. 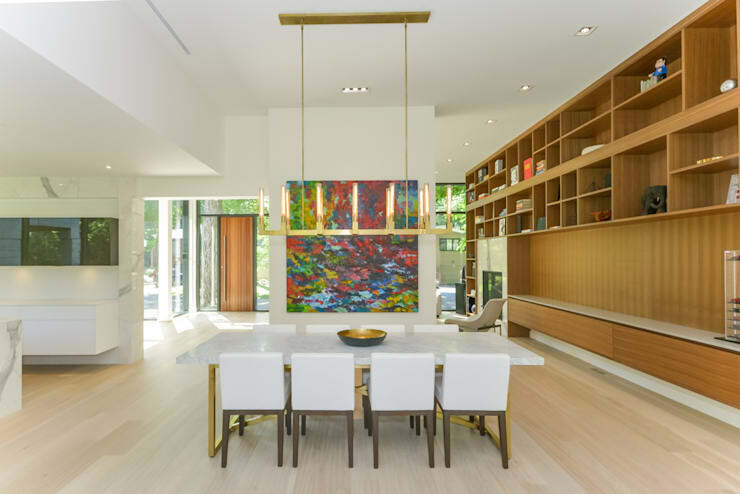 The effortless grace of a modern open plan like this will appeal to the sociability of Libra. One downside of Libra is that in their quest to be fair, they often end up being indecisive. A flexible style like this is free from commitment! Reclusive Scorpio needs a dark retreat where they can be themselves and recharge. 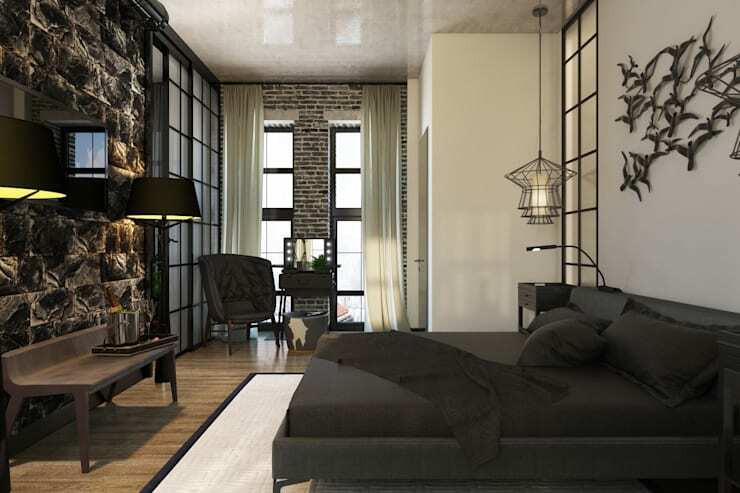 This striking bedroom is sure to appeal to the subdued nature of a Scorpio. We love the use of black and the earthy tiles on the wall! Muted, neutral, and earthy tones are well suited to a Scorpio temperament. Vibrant Sagittarius needs a style that will excite and inspire! A mix of textures is a good place to start, like in this bedroom that has wood, velvet, and a plush carpet. This kind of casual design is perfect for an honest and simple Sagittarius. Careful to walk the line, Capricorns are not the most adventurous in the Zodiac. A sophisticated style will appeal to their sensibilities. They respond well to expected decor because of their grounded personality. This living room with its traditional trappings will do the trick. This bohemian inspired room will totally appeal to the Aquarius reading this list! With a craving for eccentricity, Aquarius will be on the lookout for unique pieces to feed their creativity. Ranging from the kitschy to the daring, decor items fill the Aquarius home with wonder. To round off our Zodiac list we’re looking at this subtle marine themed bedroom that’s so suited for the fish sign, Pisces. We love the seafoam walls because they’re relaxing and soothing. Meditative and introspective Pisces will love a space like this. Love astrology? Check out our feature on 12 spectacular apartments for every star sign. Are you anything like your sign?